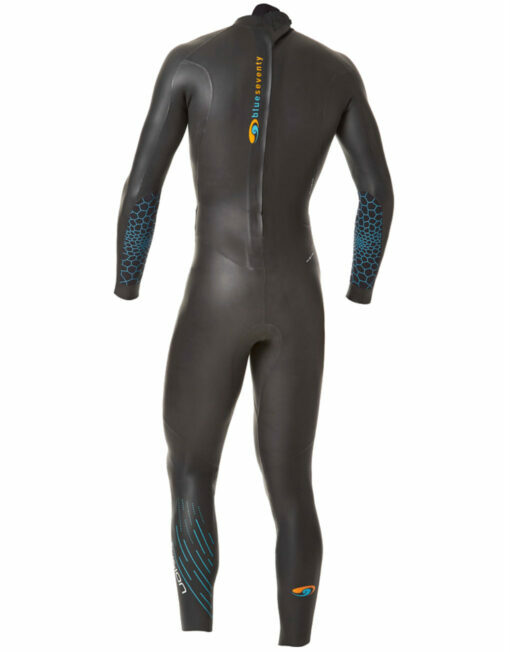 The Blueseventy Fusion Men’s Wetsuit provides everything you need when it comes time to take your open water swimming to the next level. 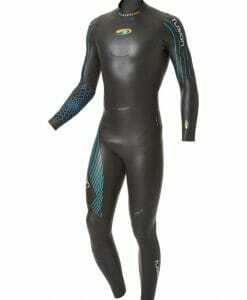 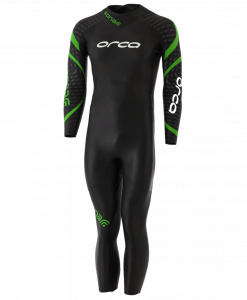 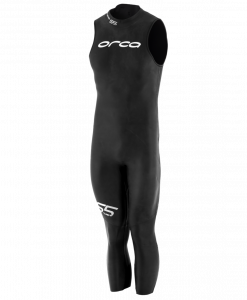 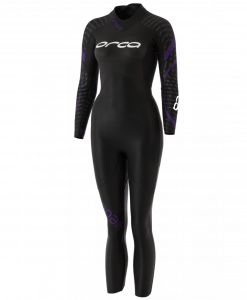 With a fantastic fit, a design with a buoyancy emphasis in the legs and top neoprene, the Fusion is designed to be comfortable and promote downhill swimming, allowing you to concentrate on your stroke, not the suit. 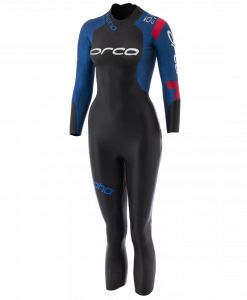 The new Fusion full sleeve wetsuits has been improved with a 2mm thin panel surrounding the neck to provide more comfort when turning to breathe and for an easier fit. 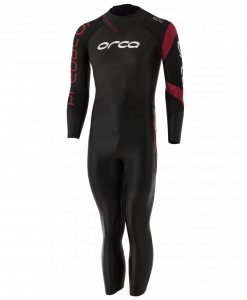 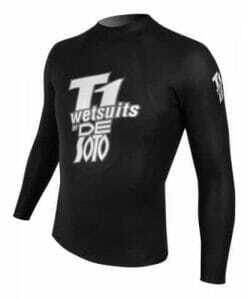 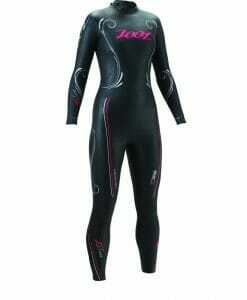 Over 20 years of wetsuit design experience has made the zipper an industry standard. 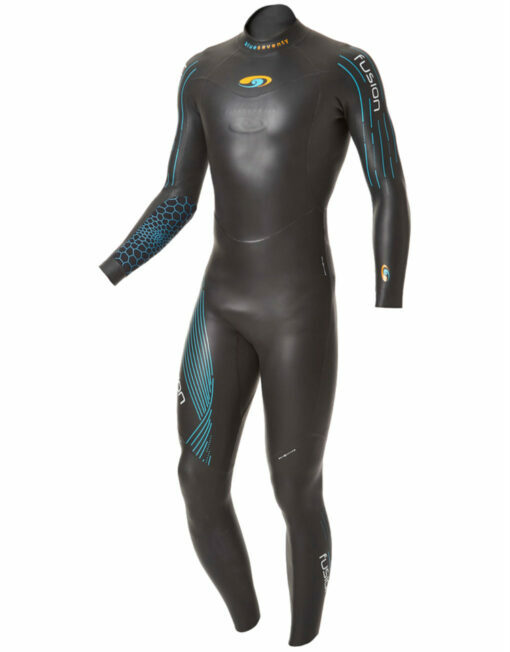 The curved closure flap reduces rear collar height, improving comfort and reducing chafing. 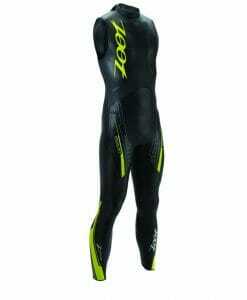 The single seam tube leg construction in the lower leg uses a single seam to maximize the flexibility and promote a quick release in transition. 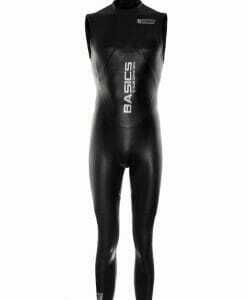 Liquid taping on the internal seam reinforces and allows you to cut the leg to your desired length. 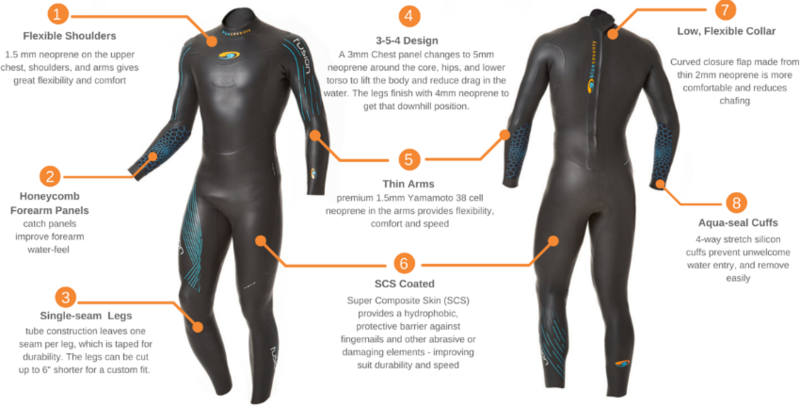 The Fusion is constructed with a buoyant 5mm panel in the lower half of the suit while the upper body features a 3mm panel. 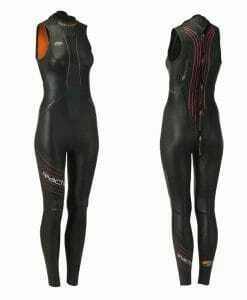 This design lifts the lower half of the body in the water, improving body position and creating less drag.